No 20.—LE PRINCE DE TALLEYRAND AU ROI LOUIS XVIII. No 23 bis.—LES AMBASSADEURS DU ROI AU CONGRÈS, AU MINISTRE DES AFFAIRES ÉTRANGÈRES A PARIS. No 16ter.—LE ROI LOUIS XVIII AU PRINCE DE TALLEYRAND. No 24 bis.—LES AMBASSADEURS DU ROI AU CONGRÈS, AU MINISTRE DES AFFAIRES ÉTRANGÈRES, A PARIS. No 21.—LE PRINCE DE TALLEYRAND AU ROI LOUIS XVIII. No 17 ter.—LE ROI LOUIS XVIII AU PRINCE DE TALLEYRAND. No 18 ter.—LE ROI LOUIS XVIII AU PRINCE DE TALLEYRAND. No 19 ter.—LE ROI LOUIS XVIII AU PRINCE DE TALLEYRAND. No 25 bis.—LES AMBASSADEURS DU ROI AU CONGRÈS, AU MINISTRE DES AFFAIRES ÉTRANGÈRES, A PARIS. No 22.—LE PRINCE DE TALLEYRAND AU ROI LOUIS XVIII. No 23.—LE PRINCE DE TALLEYRAND AU ROI LOUIS XVIII. No 26 bis.—LES AMBASSADEURS DU ROI AU CONGRÈS, AU MINISTRE DES AFFAIRES ÉTRANGÈRES, A PARIS. No 24.—LE PRINCE DE TALLEYRAND AU ROI LOUIS XVIII. LE PRINCE DE TALLEYRAND AU ROI LOUIS XVIII. No 20ter—LE ROI LOUIS XVIII AU PRINCE DE TALLEYRAND. No 27 bis.—LES AMBASSADEURS DU ROI AU CONGRÈS, AU MINISTRE DES AFFAIRES ÉTRANGÈRES, A PARIS. No 25.—LE PRINCE DE TALLEYRAND AU ROI LOUIS XVIII. No 21 ter.—LE ROI LOUIS XVIII AU PRINCE DE TALLEYRAND. No 28 bis.—LES AMBASSADEURS DU ROI AU CONGRÈS, AU MINISTRE DES AFFAIRES ÉTRANGÈRES, A PARIS. No 26.—LE PRINCE DE TALLEYRAND AU ROI LOUIS XVIII. No 22 ter.—LE ROI LOUIS XVIII AU PRINCE DE TALLEYRAND. No 29 bis.—LES AMBASSADEURS DU ROI AU CONGRÈS, AU MINISTRE DES AFFAIRES ÉTRANGÈRES, A PARIS. No 27.—LE PRINCE DE TALLEYRAND AU ROI LOUIS XVIII. No 23 ter.—LE ROI LOUIS XVIII AU PRINCE DE TALLEYRAND. No 28.—LE PRINCE DE TALLEYRAND AU ROI LOUIS XVIII. No 29.—LE PRINCE DE TALLEYRAND AU ROI LOUIS XVIII. No IV.—LE COMTE DE BLACAS D'AULPS AU PRINCE DE TALLEYRAND. No 30.—LE PRINCE DE TALLEYRAND AU ROI LOUIS XVIII. No 24 ter.—LE ROI LOUIS XVIII AU PRINCE DE TALLEYRAND. No 30 bis.—LES AMBASSADEURS DU ROI AU CONGRÈS, AU MINISTRE DES AFFAIRES ÉTRANGÈRES, A PARIS. No 31.—LE PRINCE DE TALLEYRAND AU ROI LOUIS XVIII. No 32—LE PRINCE DE TALLEYRAND AU ROI LOUIS XVIII. No 25 ter.—LE ROI LOUIS XVIII AU PRINCE DE TALLEYRAND. No 26ter.—LE ROI LOUIS XVIII AU PRINCE DE TALLEYRAND. No 33.—LE PRINCE DE TALLEYRAND AU ROI LOUIS XVIII. No 34.—LE PRINCE DE TALLEYRAND AU ROI LOUIS XVIII. No 35.—LE PRINCE DE TALLEYRAND AU ROI LOUIS XVIII. No 36.—LE PRINCE DE TALLEYRAND AU ROI LOUIS XVIII. 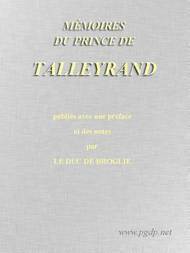 No 37.—LE PRINCE DE TALLEYRAND AU ROI LOUIS XVIII. No 38.—LE PRINCE DE TALLEYRAND AU ROI LOUIS XVIII. No 39.—LE PRINCE DE TALLEYRAND AU ROI LOUIS XVIII. No 40.—LE PRINCE DE TALLEYRAND AU ROI LOUIS XVIII. No 41.—LE PRINCE DE TALLEYRAND AU ROI LOUIS XVIII. No 42.—LE PRINCE DE TALLEYRAND AU ROI LOUIS XVIII. No 43.—LE PRINCE DE TALLEYRAND AU ROI LOUIS XVIII. No 44.—LE PRINCE DE TALLEYRAND AU ROI LOUIS XVIII. No V.—LE COMTE DE BLACAS D'AULPS AU PRINCE DE TALLEYRAND. No 27 ter.—LE ROI LOUIS XVIII AU PRINCE DE TALLEYRAND. No 45.—LE PRINCE DE TALLEYRAND AU ROI LOUIS XVIII. No 46.—LE PRINCE DE TALLEYRAND AU ROI LOUIS XVIII. No 47.—LE PRINCE DE TALLEYRAND AU ROI LOUIS XVIII. No 48.—LE PRINCE DE TALLEYRAND AU ROI LOUIS XVIII. No 49.—LE PRINCE DE TALLEYRAND AU ROI LOUIS XVIII. No 28 ter.—LE ROI LOUIS XVIII AU PRINCE DE TALLEYRAND. No VI.—LE COMTE DE BLACAS D'AULPS AU PRINCE DE TALLEYRAND. No 50.—LE PRINCE DE TALLEYRAND AU ROI LOUIS XVIII. No 51.—LE PRINCE DE TALLEYRAND AU ROI LOUIS XVIII. No 29ter.—LE ROI LOUIS XVIII AU PRINCE DE TALLEYRAND. No 52.—LE PRINCE DE TALLEYRAND AU ROI LOUIS XVIII. No 53.—LE PRINCE DE TALLEYRAND AU ROI LOUIS XVIII. No 54.—LE PRINCE DE TALLEYRAND AU ROI LOUIS XVIII. No 30ter.—LE ROI LOUIS XVIII AU PRINCE DE TALLEYRAND. No 55.—LE PRINCE DE TALLEYRAND AU ROI LOUIS XVIII. No 56.—LE PRINCE DE TALLEYRAND AU ROI LOUIS XVIII. No 57.—LE PRINCE DE TALLEYRAND AU ROI LOUIS XVIII. No 58.—LE PRINCE DE TALLEYRAND AU ROI LOUIS XVIII. LE DUC DE RICHELIEU AU PRINCE DE TALLEYRAND. LE PRINCE DE TALLEYRAND AU DUC DE RICHELIEU. LE ROI LOUIS XVIII AU PRINCE DE TALLEYRAND. 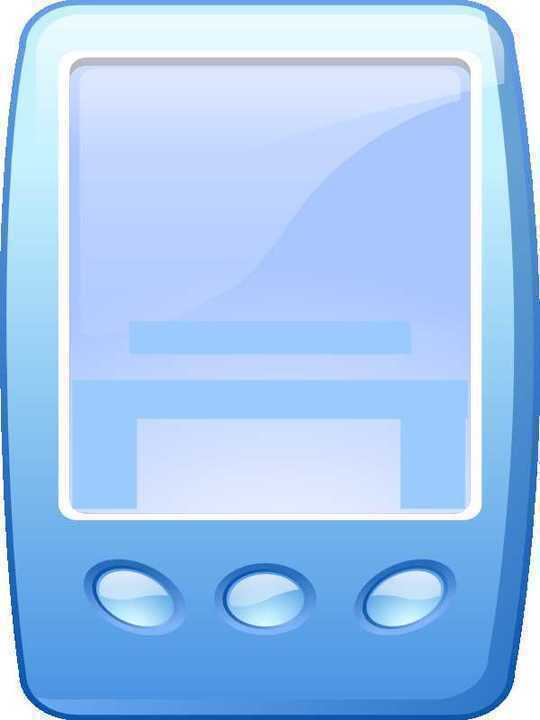 NOTE DES PLÉNIPOTENTIAIRES FRANÇAIS EN RÉPONSE AUX PROPOSITIONS DES ALLIÉS. RÉPONSE DES MINISTRES DES ALLIÉS. M. DE VILLÈLE AU PRINCE DE TALLEYRAND. LE GÉNÉRAL SEBASTIANI AU PRINCE DE TALLEYRAND. LE PRINCE DE TALLEYRAND A LA PRINCESSE DE VAUDÉMONT. LE COMTE MOLÉ AU PRINCE DE TALLEYRAND. LE PRINCE DE TALLEYRAND A MADAME ADÉLAÏDE. MADAME ADÉLAÏDE AU PRINCE DE TALLEYRAND. LA DUCHESSE DE DINO A MADAME ADÉLAÏDE. LE COMTE BRESSON AU PRINCE DE TALLEYRAND. M. BESSON AU PRINCE DE TALLEYRAND.